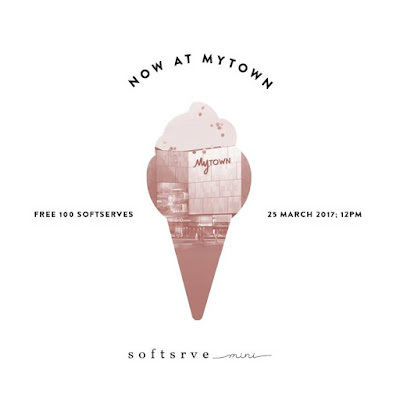 Softsrve Mini at MyTOWN Shopping Centre has finally open! AND YES, kids of the Instagram, we have heard all of your requests for some FREE ICE CREAM in celebration of our brand NEW STORE opening! 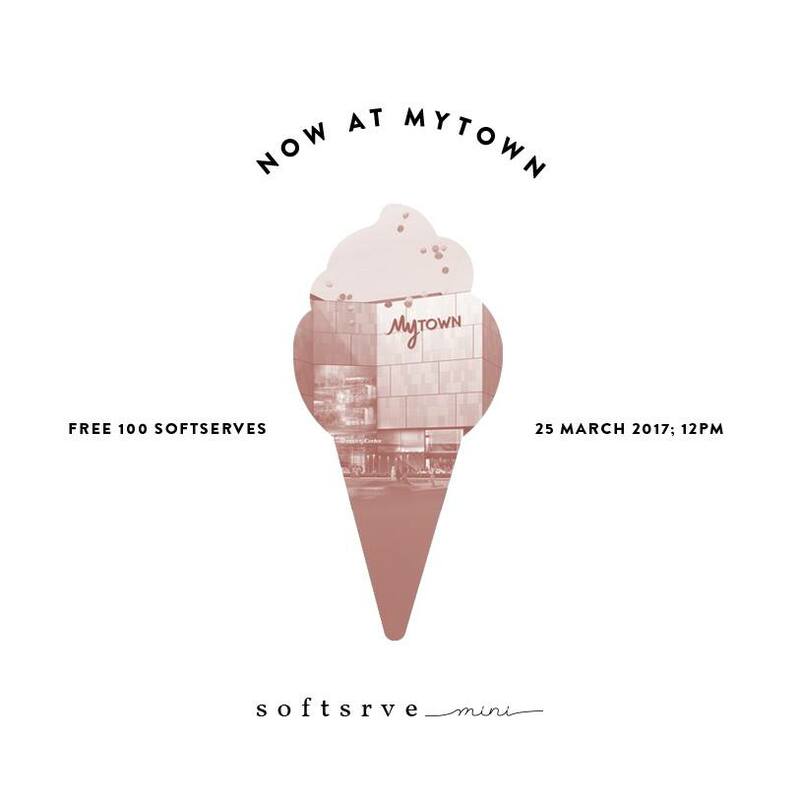 :O HENCE, we are giving away 100 FREE SOFTSERVES this Saturday at Softsrve Mini MyTown! TAG ALL YOUR ICE CREAM LOVING HOMIESSS!